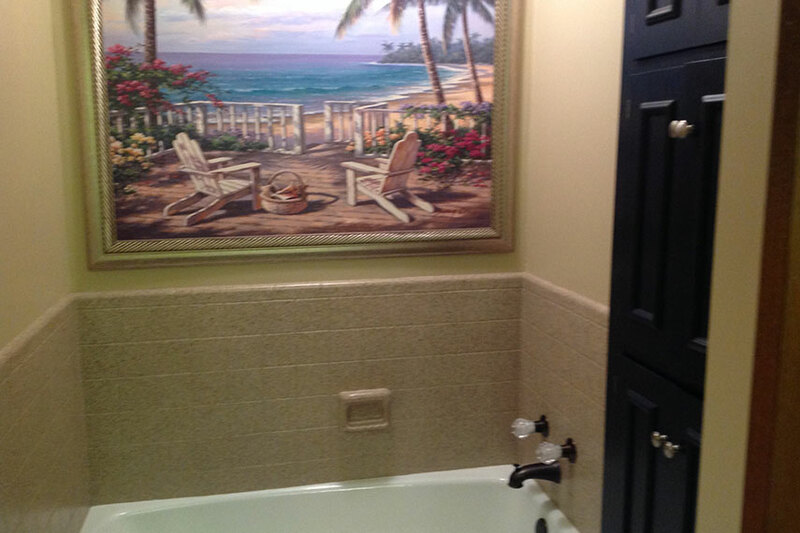 Before – a cramped tub space gives you no room to unwind. 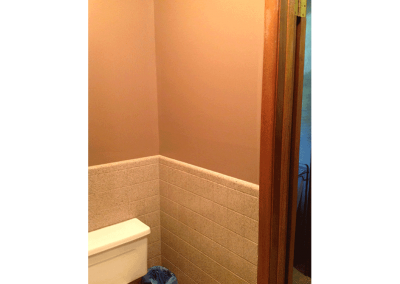 Before – This is the wall next to the toilet. 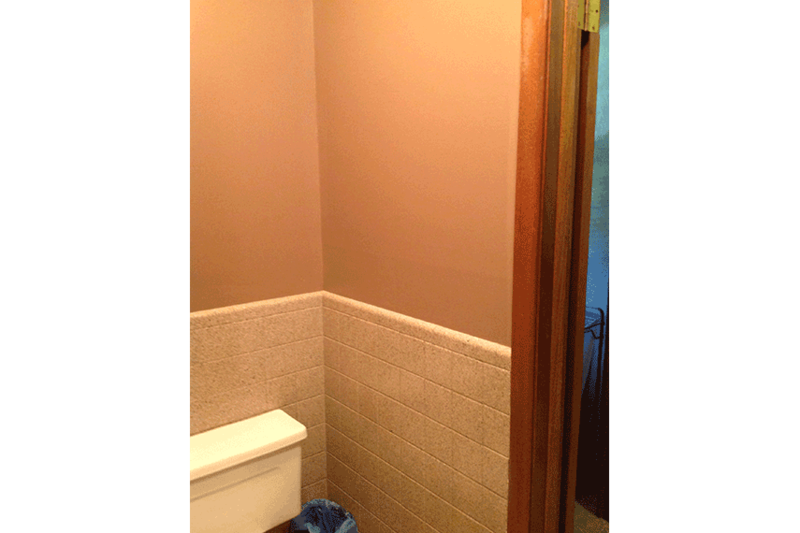 Before – This place is starting to feel like a maze. 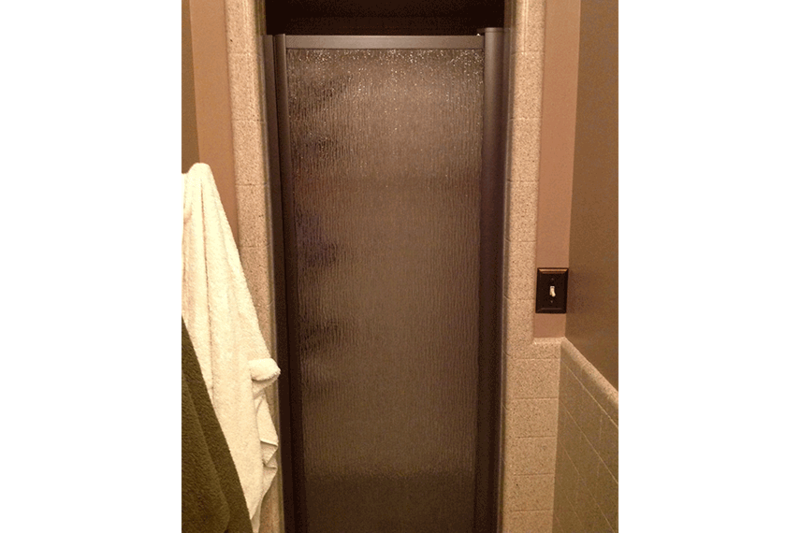 Another cramped space leading up to the shower. 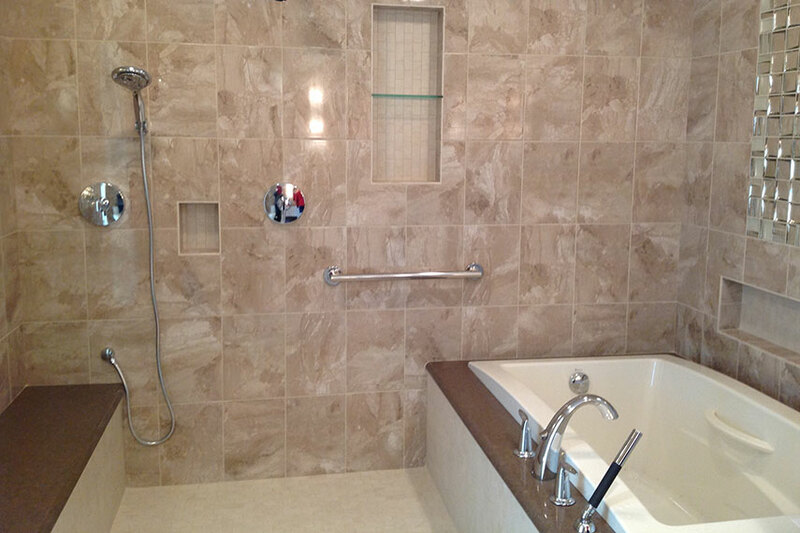 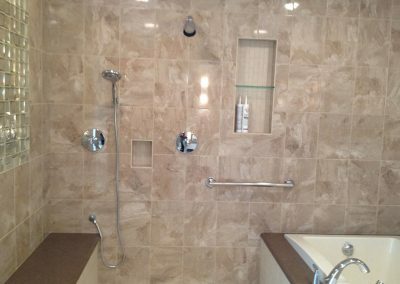 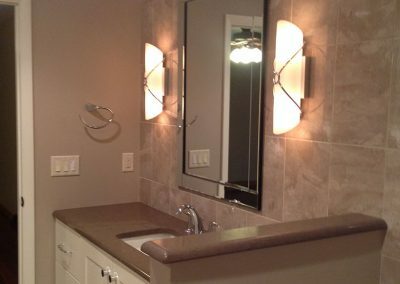 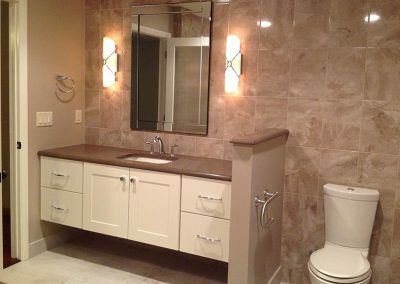 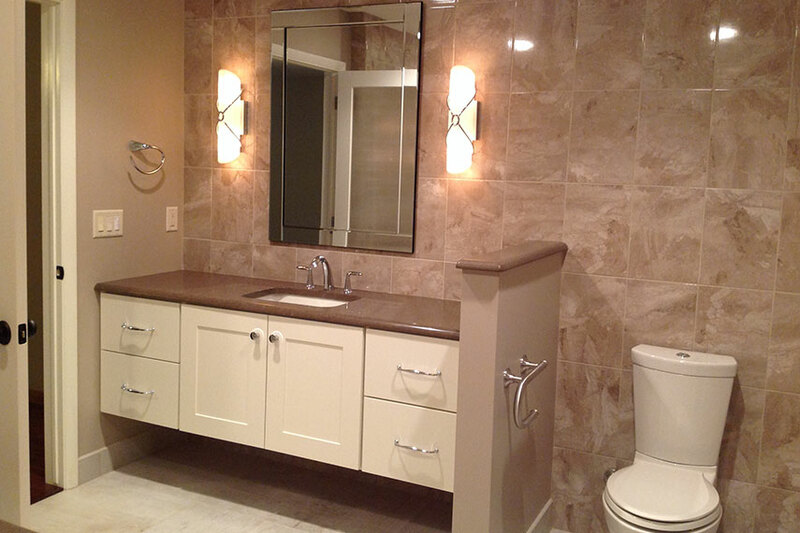 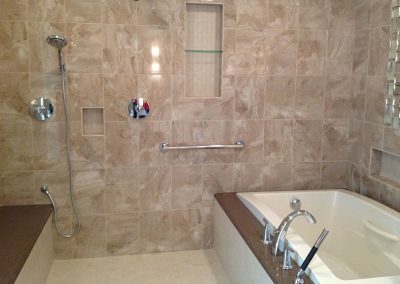 Light colors and a transitional style, this bathroom got a makeover. 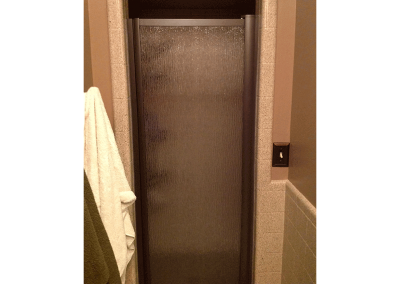 Sliding glass doors keep this bathroom feeling large and open. 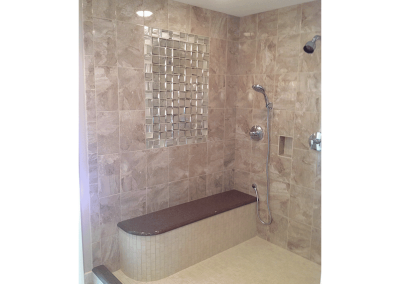 Tiles flow up from the floor to the ceiling. 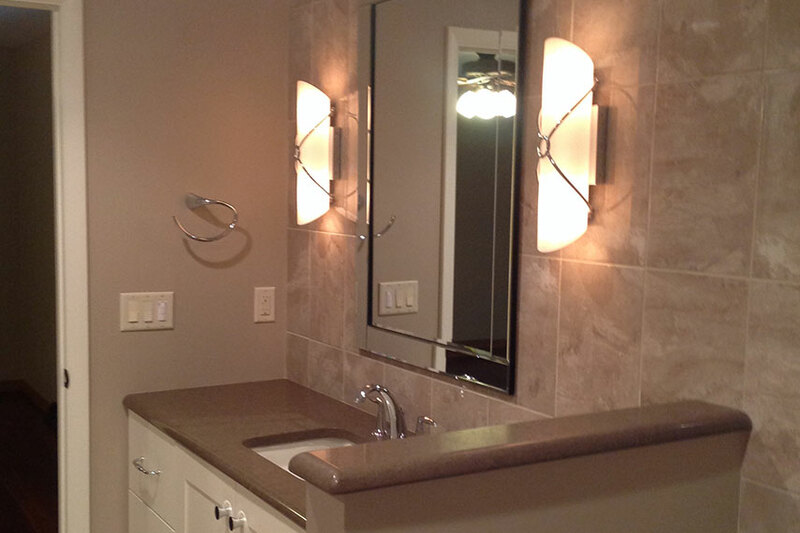 Chrome finishes keep this space feeling clean. 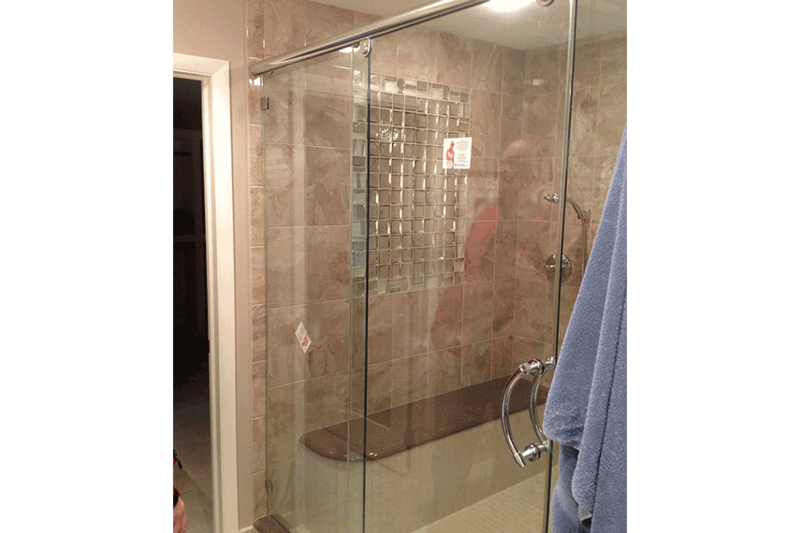 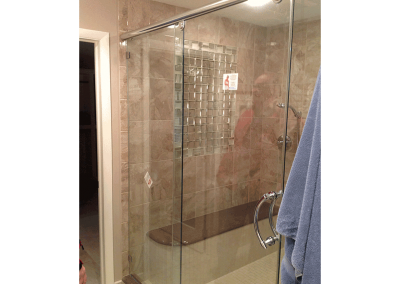 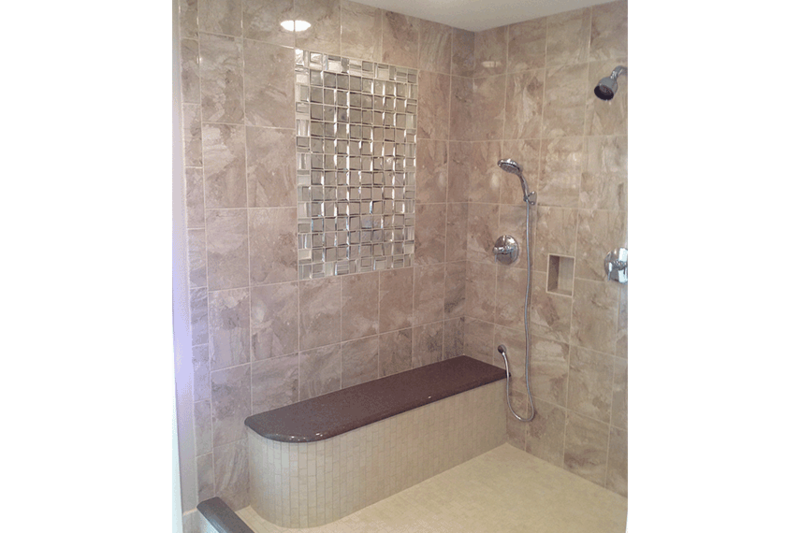 The glass accented wall piece is mirrored on the other side of the shower space. 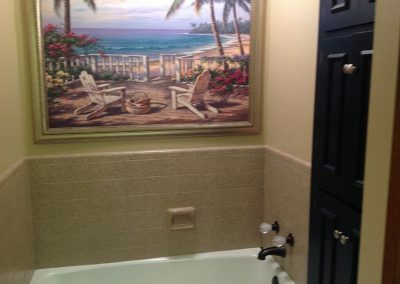 Splash all you want, this bathroom is made for it.